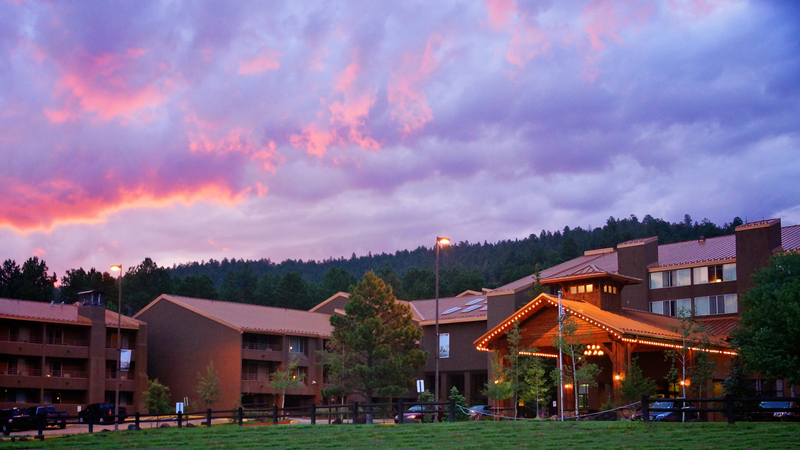 The Lodge at Angel Fire Resort features your choice of spacious rooms and suites, just steps from the Chile Express chairlift at Angel Fire Resort. Cancellations must be made in Spring/Summer/Fall at least 48 hours prior to arrival. No shows and cancellations within 48 hours will forfeit one night's lodging. Cancellation during Winter through Spring Break forfeit the entire amount once final payment has been taken which is 31 days prior to arrival. Summer/Fall: First night's total is due at time of booking. Winter: 50% of reservation is due at time of booking and is non-refundable. Balance is taken 31 days prior to arrival at which time the entire reservation is non refundable. We are pet friendly and have pet friendly rooms at a $50 per pet, per stay, fee. This fee is payable at check-in. Roll-aways and Pack-n-plays are available for a fee.